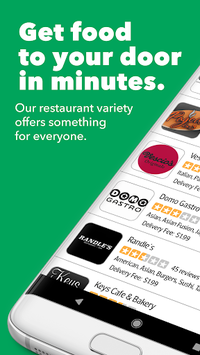 Bite Squad provides a wide range of restaurants to choose from, along with handy filtering tools and a search bar to help you efficiently find the dishes you’re craving. We also offer low booking fees, speedy delivery and accurate orders—and we never demand an order minimum or charge menu markups. Ordering restaurant delivery with the Bite Squad app couldn’t be easier. Simply download the app, type in your address, choose your favorite restaurant dishes and quickly check out with your credit card. And if you create an account, we’ll save your address, order preferences and payment information for a speedier checkout the next time you order. After you’ve placed your order, you can watch its progress on our live tracking system so you know exactly when your food will arrive. If you have any order changes or questions, our live chat customer support team will be able to help you in real-time. 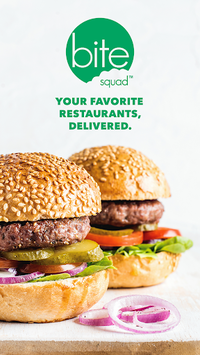 Whether you need your food on-demand or would like to schedule an order in advance, the Bite Squad app will get restaurant food to you when you want it. Bite Squad restaurant delivery service is consistently rated best in the category by our customers. Our dedicated delivery squad works hard to bring more choices to our customers who want a great meal from their favorite restaurant delivered to their home or office. Bite Squad was founded in 2012 in Minneapolis, Minnesota, and today, operates in more than 30 cities and delivers from more than 10,000 restaurants nationwide.